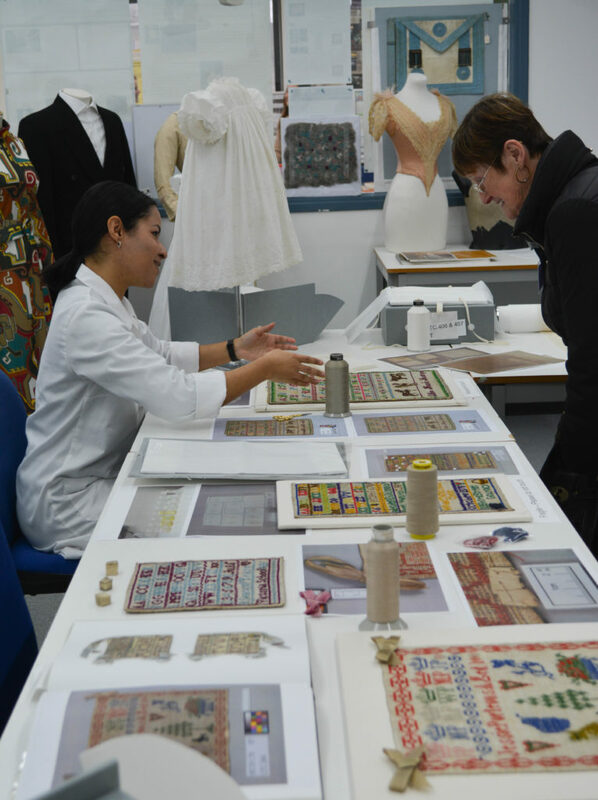 by Sarah Foskett, Lecturer, MPhil Textile Conservation. 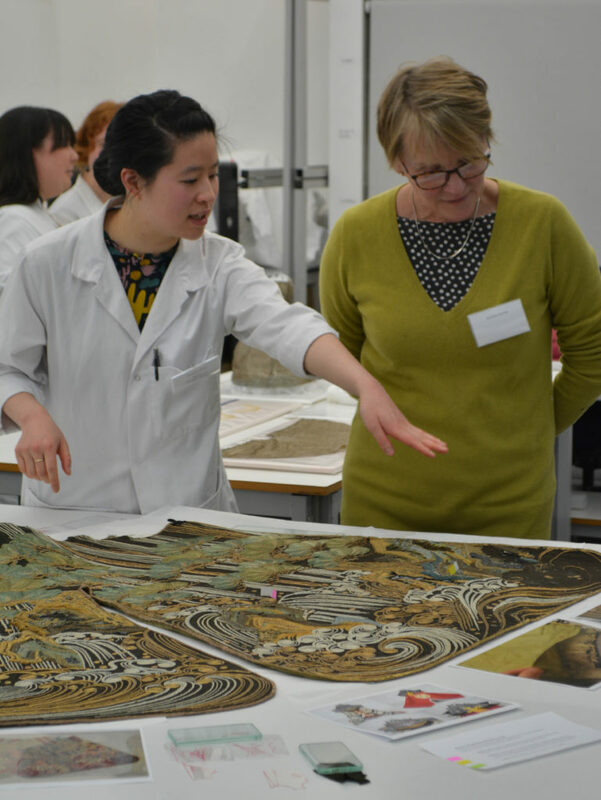 One of the assignments for the first year students on the MPhil Textile Conservation programme is to write a reflective account and as they are no doubt burning the midnight oil writing theirs, I decided I would come out in sympathy and reflect on the 2018 CTCAH Open Day. Whilst thinking back over the day, comparing it to other years and trying to draw some conclusions about its enduring success, I was struck by two thoughts: how much has changed and how much has stayed the same. 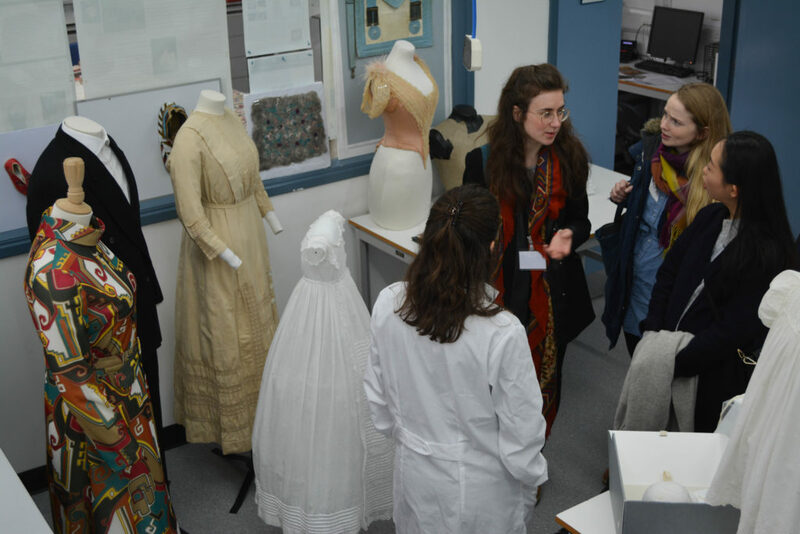 Open Day is one of the few events that has happened consistently throughout the various incarnations of the programme. 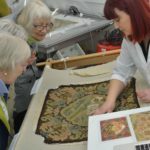 Starting when the Textile Conservation Centre was based at Hampton Court Palace, Frances, Karen and I can all remember taking part as students in what was then a 3-day marathon (take note current students!). 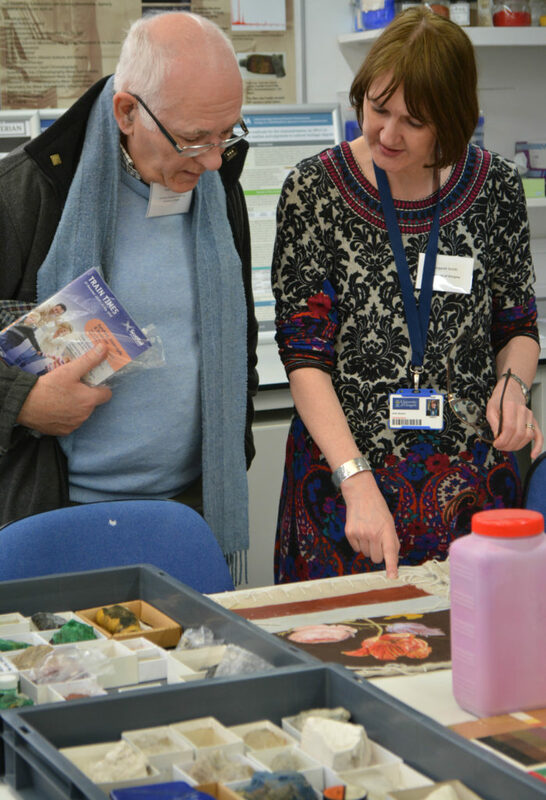 We have memories of the individual workrooms with their creaky floors and wonky doors being filled with vast numbers of visitors, who seemed to have somehow managed to navigate their way up and down the spiral staircases and through the narrow corridors – I’m not sure it would make it past risk assessment stage these days! 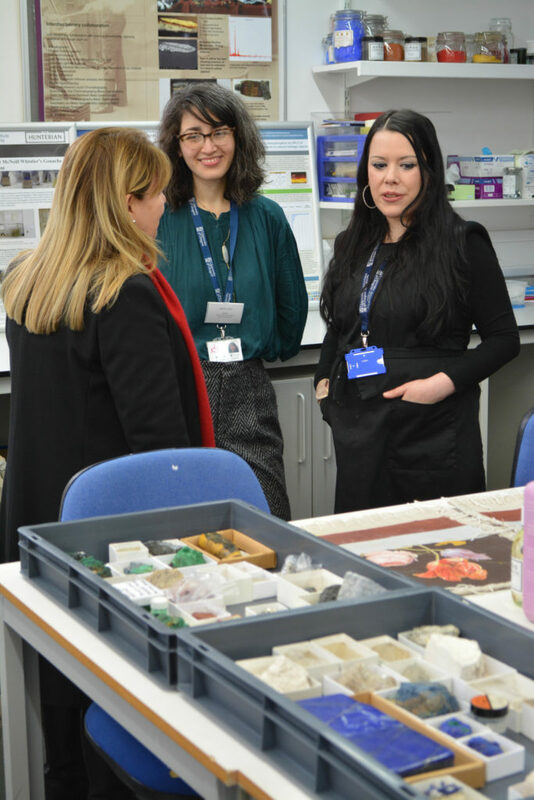 Moving to the purpose built centre at the University of Southampton made Open Day a much more streamlined and spacious affair – no less busy but certainly easier to access! 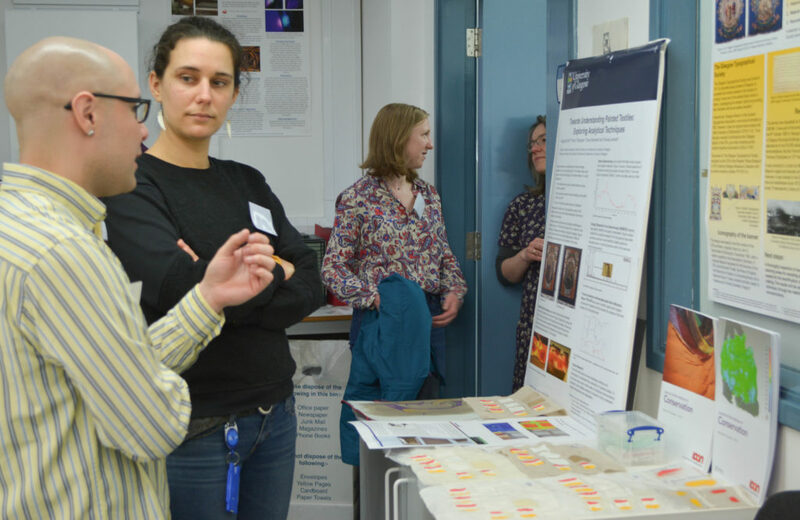 Every year has seen Open Day at the University of Glasgow grow in terms of projects, activities and spatial creep! This year was no exception. 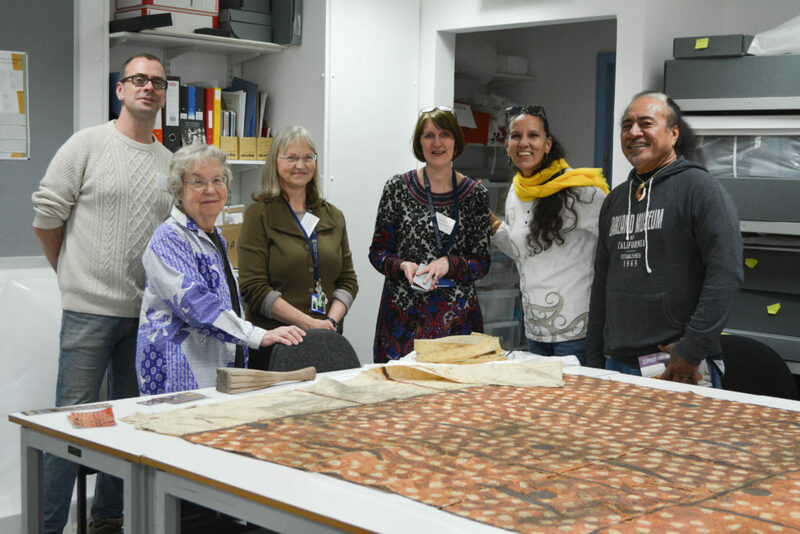 There was a buzz of enthusiasm in every room – from the Pacific barkcloth project conservation lab where large and beautiful tapa filled the tables and provided a compelling starting point for discussions to the Technical Art History lab where students and staff shared their wide ranging and fascinating specialism with colleagues and visitors. 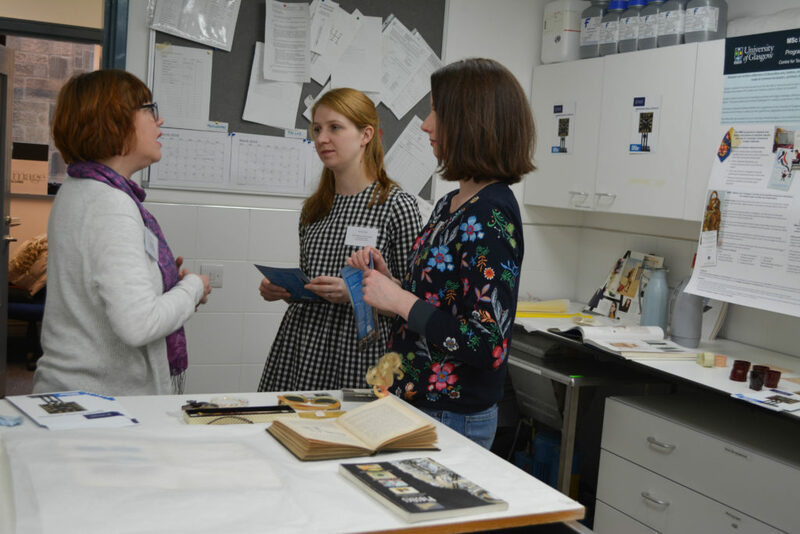 The first and second year workrooms were as ever the focus of much interest and attention and even the wet room was busy with visitors finding out about the new Modern Material Artefacts programme. 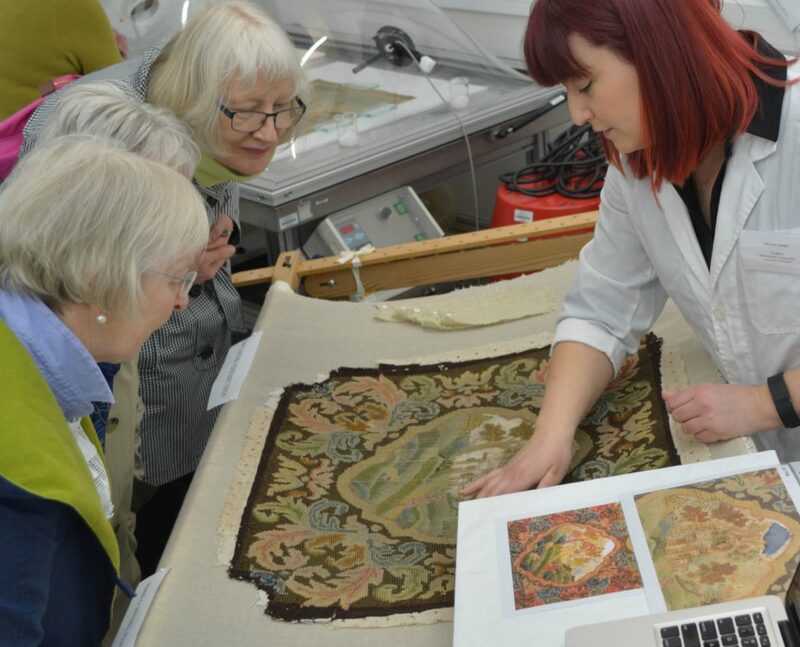 But more importantly than what has changed is what has stayed the same, which is the immense good will of everyone involved: both visitors and hosts. 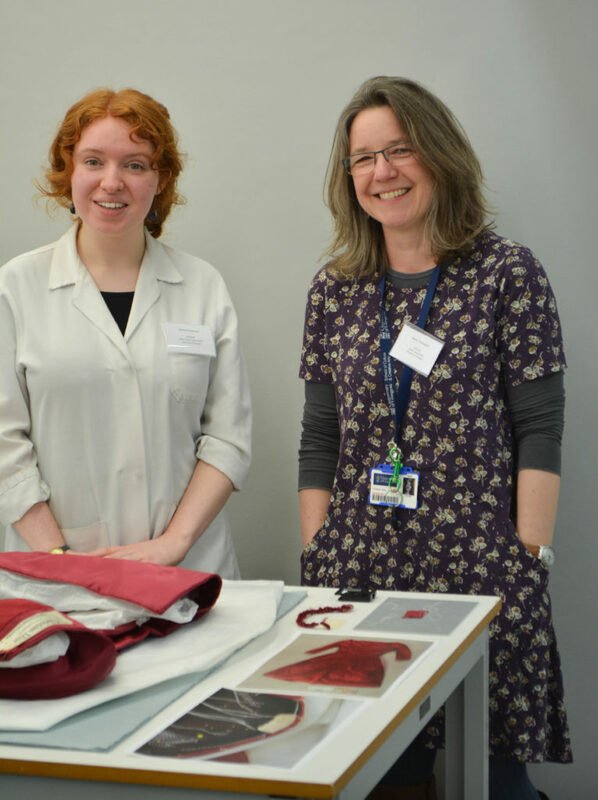 The students and researchers were delighted to have the opportunity to share their practical projects and academic studies and demonstrated their knowledge, passion and commitment throughout the day, encouraged by visitors who were fascinated by the work going on. 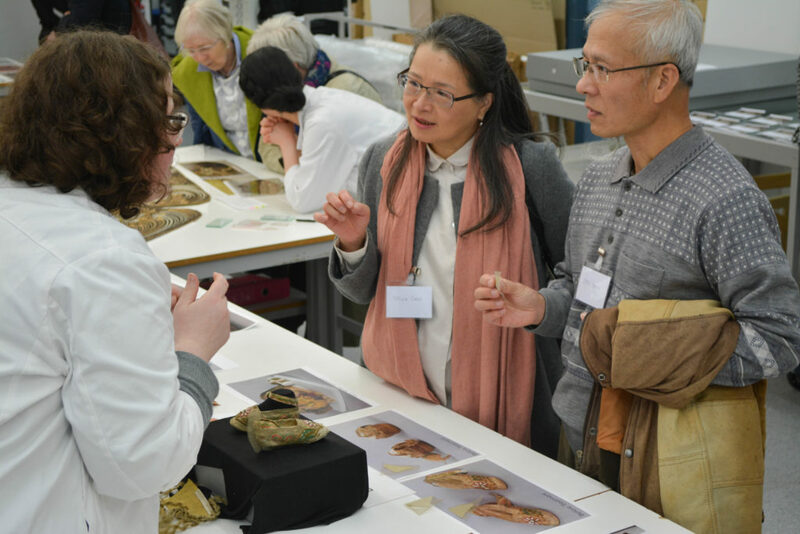 More than most years I think, there was a wealth of cross-over in the dialogues that took place between colleagues, visitors, students and staff and this gave the day a fantastically positive atmosphere. 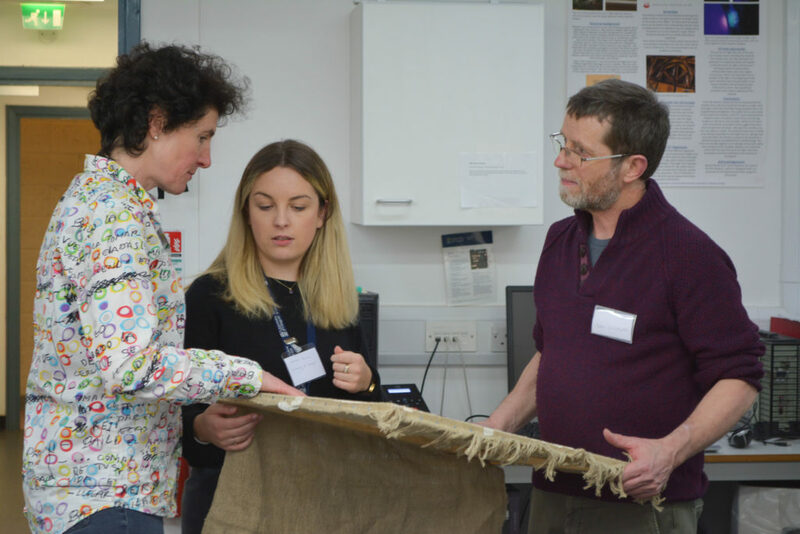 I am pretty sure we all learnt something at Open Day this year and, on reflection, one of the most important things I learnt was that what makes Open Day an enduring success is those who take part in it. A huge thank you to everyone involved.